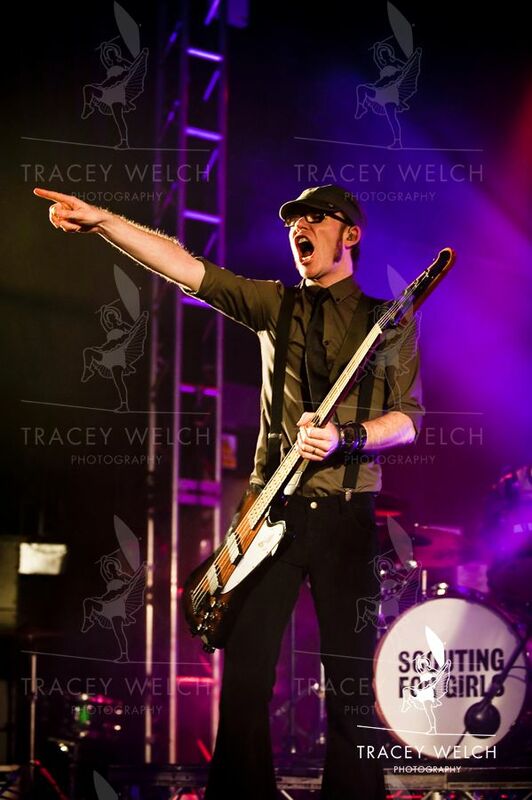 Scouting for Girls, a contemporary twist on the original Scouting for Boys and with very different ambitions. One was all about knots and badges (probably, I’m a girl, how would I know?!) and the other…well let’s just say plenty of girls found there way to Leeds O2 this week without the aid of a compass and an ordnance survey map. 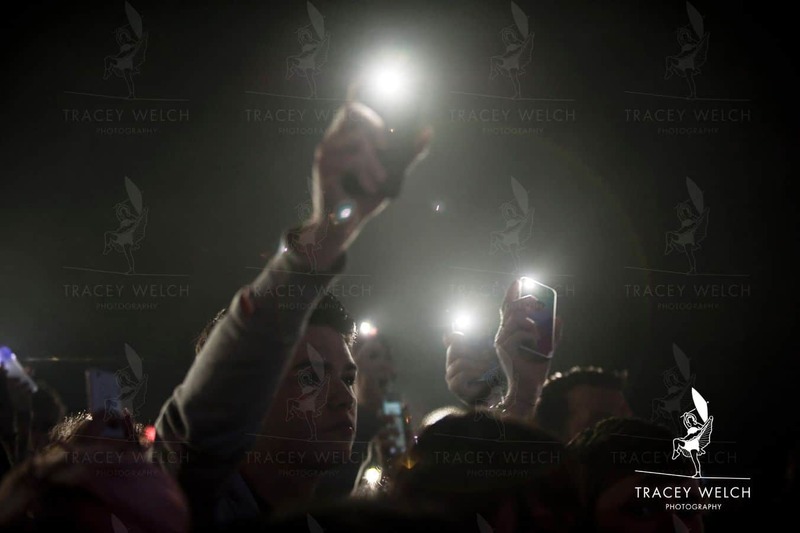 They had however managed to download the torch app on their phones…a contemporary twist on the anthemic lighter display which these days probably contravene all kinds of health and safety. 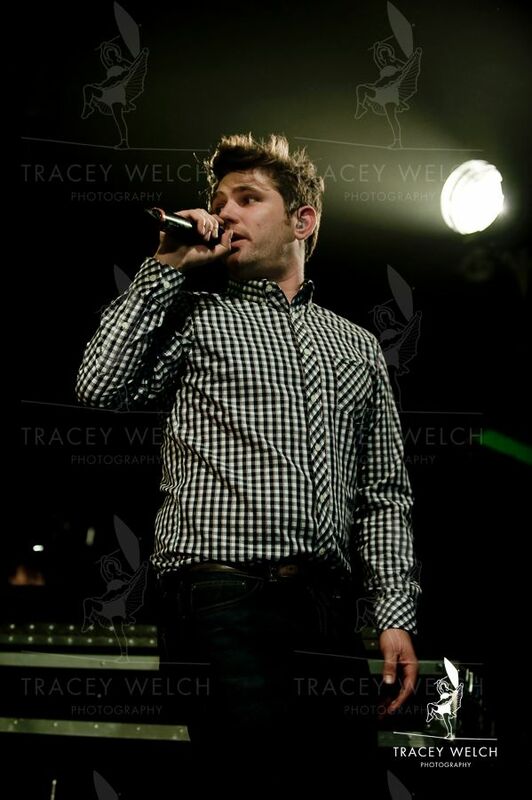 Anyhow, I digress…last time I met Scouting for Girls it was my birthday and they were playing a special gig at Sheffield Winter Gardens (no connection sadly!). I photographed them back stage and thought then what a lovely bunch of lads. They’re all from London but lead Roy Stride has family in the region and has been involved in fund raising for the Sheffield Children’s Hospital charity so I guess he gets some extra brownie points for that (and who knows, maybe even a Blue Peter badge as well). This time, support at the Academy arrived in the form of the Lovable Rogues of Britain’s got Talent fame. They’re not really for me but definitely worked as a warm-up. 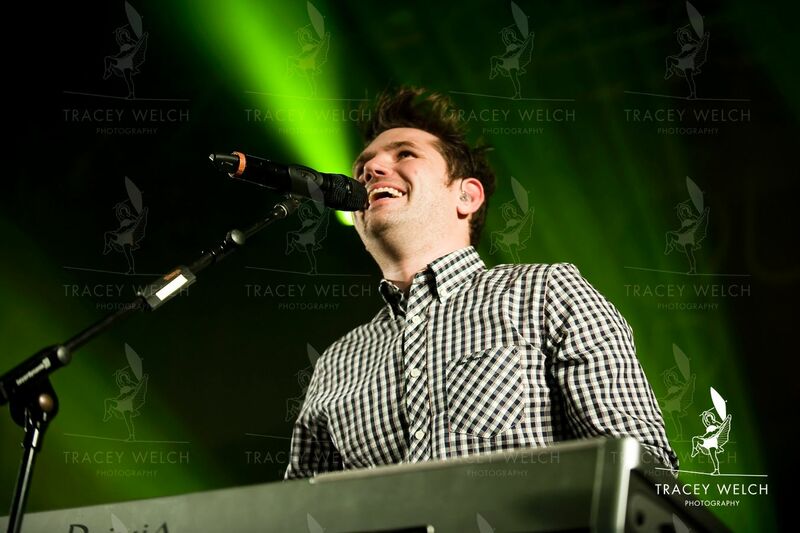 Then, the crowd went wild, as the first chords of ‘It’s Not about You’ sounded and there were smiles all round. No joke, on stage and off was just wall to wall happy. And much as I like my rock, where it’s more wall to wall pain and grimace, I just couldn’t help myself and I was soon singing along as I went about the merry business of music photography. The tunes are just so darned catchy plus they get a lot of airplay on R2. And the good energy had even spread to the lighting which was far better than usual. After the usual three tunes I floated home on my very own ‘She’s so Luvverly’ cloud. They said Leeds was the best crowd and I believe them. Scout’s honour. 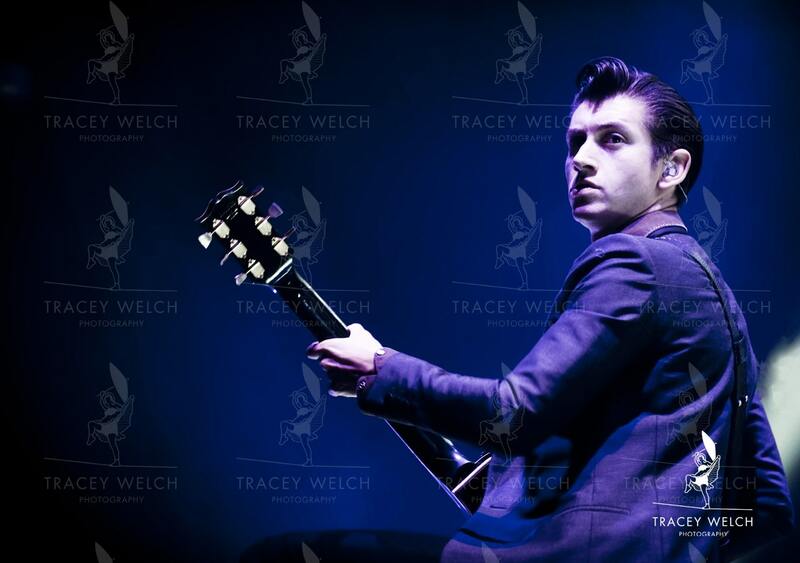 In 2004 I was behind the bar at the Sheffield Boardwalk with Alex Turner..only a couple of shifts and, like the heyday of the Boardwalk, now consigned to history. I left to teach photography and start my business and he ended up with a record deal. 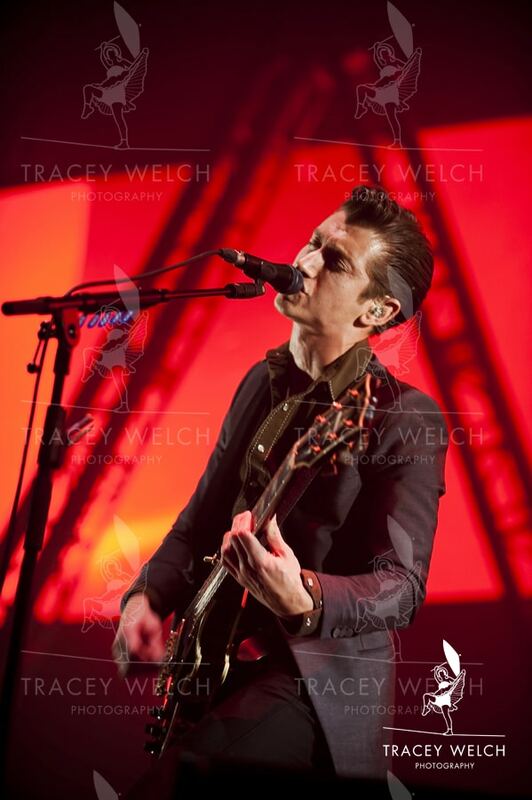 Now here we are at the Motorpoint Arena – Arctic Monkeys on stage with several successful albums to their credit, not to mention all the accolades and awards, and me in the photography pit. It’s fair to say we’ve both come a long way but Alex possibly further than me. A sell out gig on a sold out tour – nice way to come home. 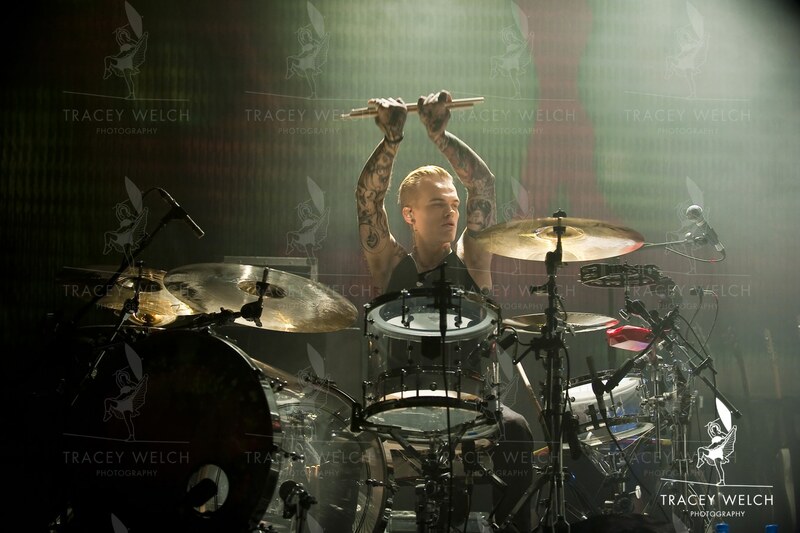 I’ve photographed them a few times now – on their first major tour and also some pictures for the Guardian. These days you have to be press affiliated to make it into the pit so on this occasion I’m supplying shots for the Metro. We get the usual three-song allowance (sadly my bar cred doesn’t translate into pit cred) and the lighting’s a challenge –bit too purple and far too red. But there was one point where a white spot illuminated Alex and I made the most of it. The band style’s changed a fair bit over the years but it’s a definite progression not change for the sake of change. 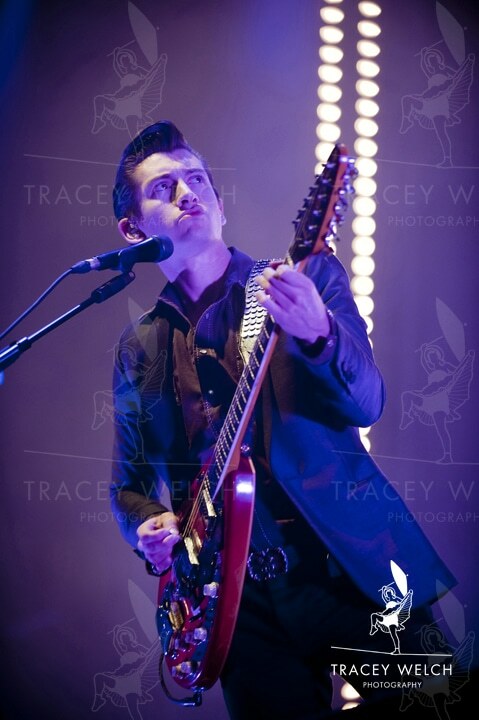 Alex spends most of his time in LA these days and that’s where they recorded the latest album. He still has that uniquely English character but with his slicked back hair there was an air of Jimmy Dean about him. Did I detect a slight American twang there??? Let’s hope not – he’s one of our own and we’re proud of him. I left the Arena with the band going great guns and the pit barriers under serious pressure from the home crowd as they strained to get within touching distance of some genuine local heroes. Good stuff and they sounded amazing. Long may it continue. This week we’re offering you a bumper deal on rock, live from Leeds O2. 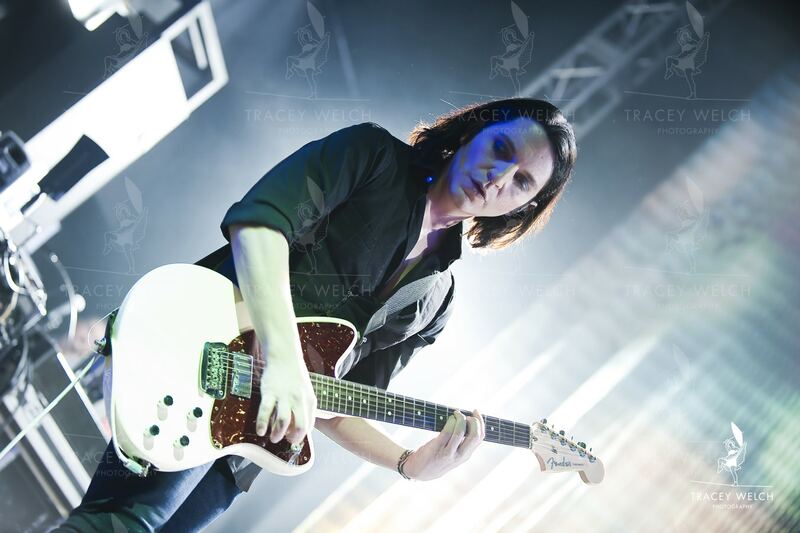 Big fanfare for a our first act..please welcome…the legendary…Placebo. I was a bit worried cos the lighting was looking a bit dodgy but then miraculously everything got much better (must have been the Placebo effect), which was good, as you only ever get two songs and the pit was as crammed as the venue. 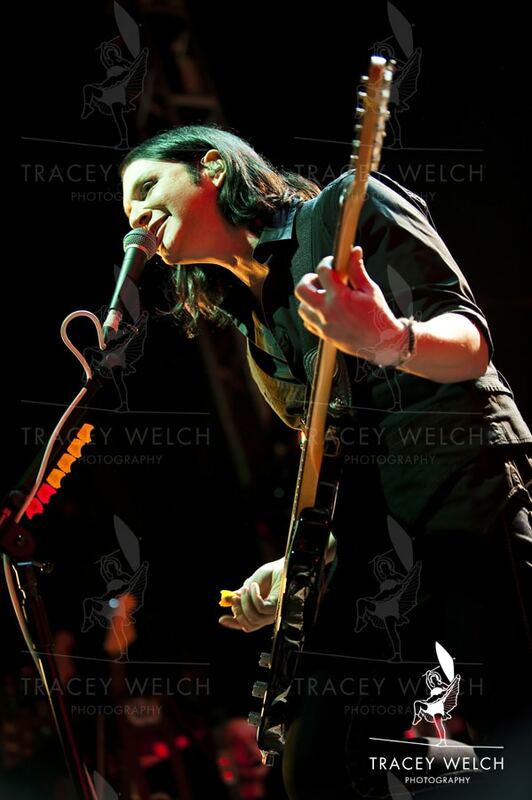 As always the key thing was making sure you were in the right place to get some decent shots of lead Brian Molko, who was actually born in Belgium…who knew?! Anyhow it wasn’t difficult to see where he was going to be on stage as his bassist is about six foot four and he’s about five foot six so the little and large mics were a dead giveaway. They are such a brilliant band and it was amazing to be there for a rare and always sold out gig, albeit for under ten minutes. 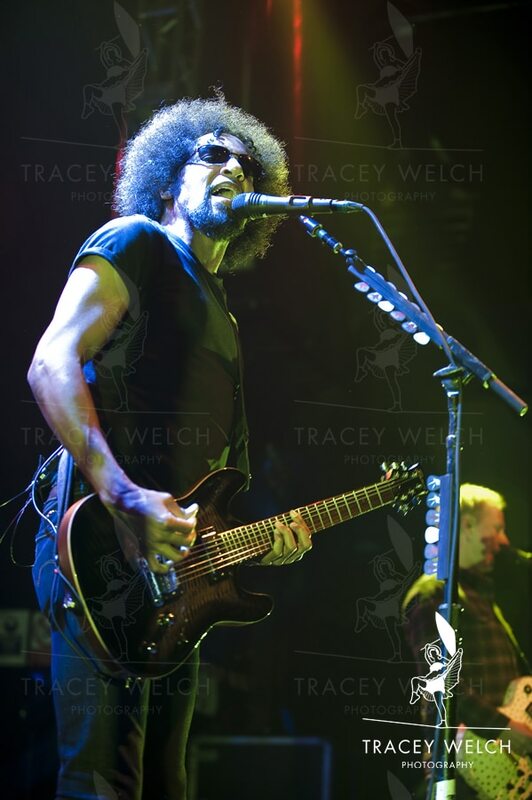 Meanwhile it’s been 14 years since Alice in Chains took to the road, and on the face of it the band is looking pretty different not least because during that time llead Layne Staley and bassist Mike Starr have sadly met their drug-fuelled demise. 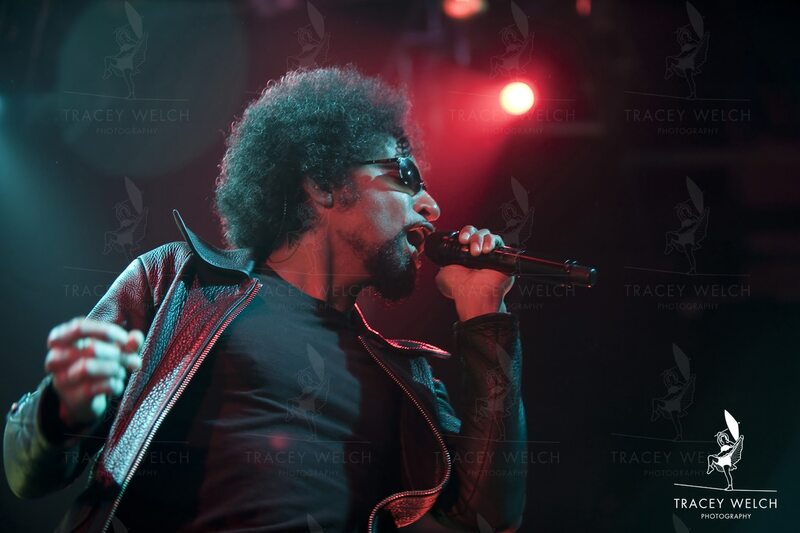 That said, new frontman William DuVall is a charismatic presence on stage, brilliant to photograph, and the rocking is as hard as ever. I always liked them. I sitll like them and it’s great to see them back. This week’s bonus gig – Public Service Broadcasting at Leeds Uni – entertaining as ever and I got to do a wee bit of networking while I was there. I’m sure there’s some kind of cheesy link in there…broadcasting..network…you figure it out. 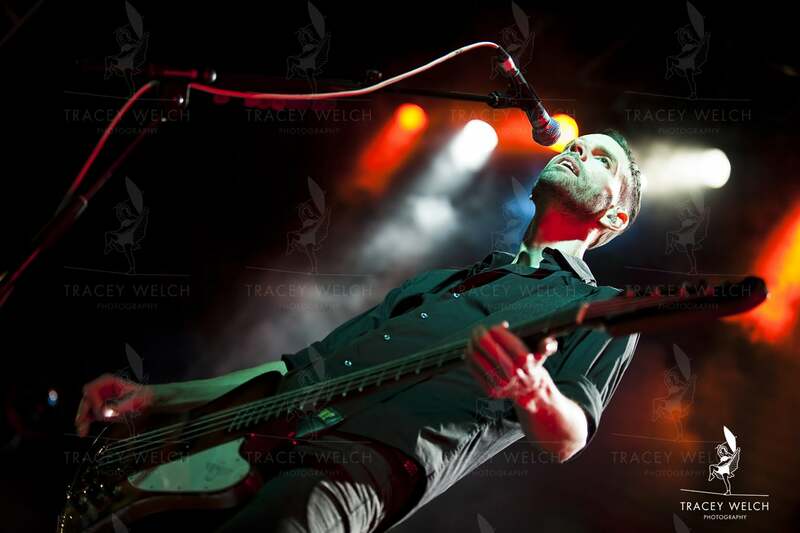 Stay tuned over the the next few weeks, the gigs are coming thick and fast. 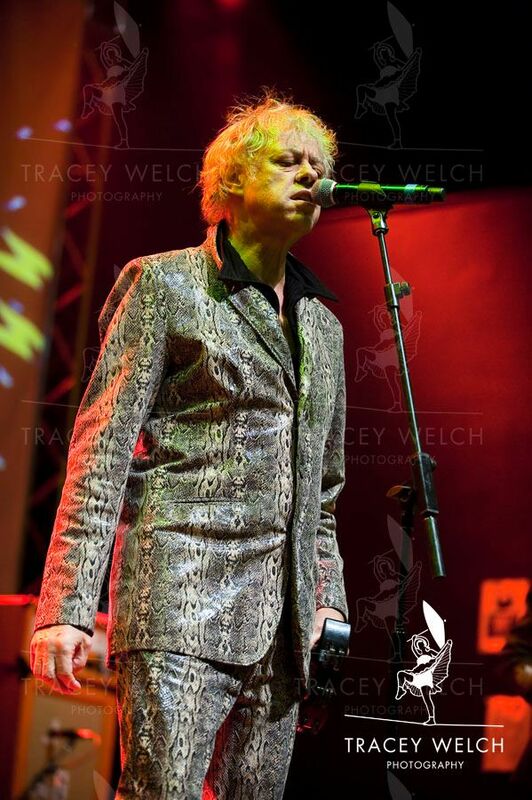 Boomtown Rats…not quite like Clockwork!! Well they may not like Mondays but I don’t like gigs that start way before they’re supposed to!! 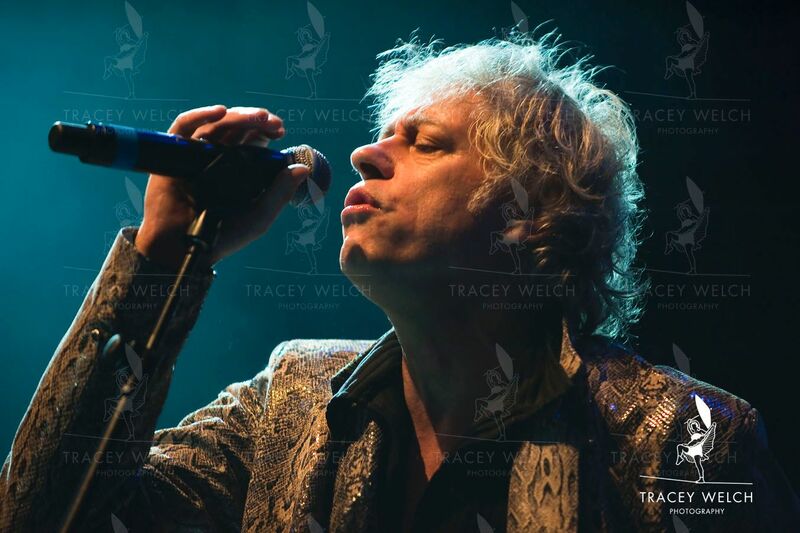 The legendary Boomtown Rats were in town, touring following their big reunion at this year’s Isle of Wight Festival. Leeds O2 and they’re on at nine, allegedly…! I rock up at eight to catch the support and think – that’s interesting, they sound very like the Boomtown Rats. The penny drops, I dive in, pass in hand, no time to worry about the wide angle lens and fortunately I’ve only missed half a song. My only consolation is that the house photographer is only just ahead of me and has also missed the support. Not the best start, the light was shocking and I was concentrating so hard that I couldn’t even tell you if one of the first three songs was Clockwork, or Mondays or any of the other hits that carried the world through the seventies. 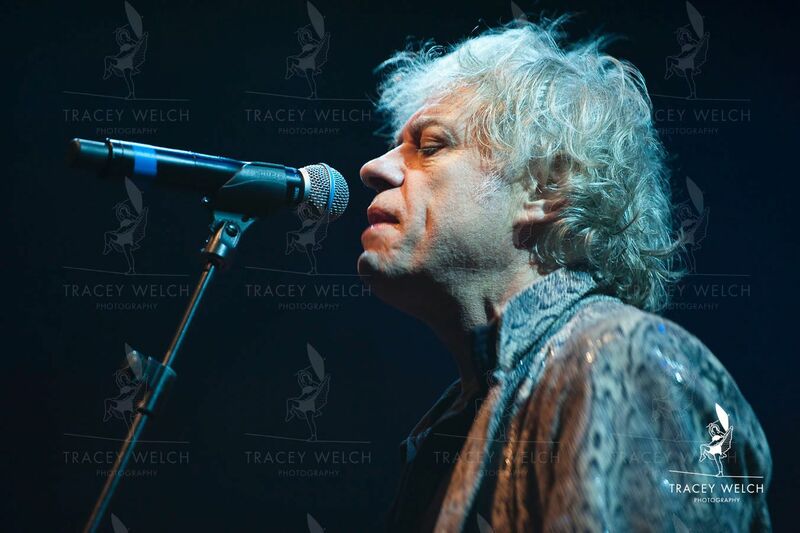 What I can say is that at 62, and in his now trademark fake snakeskin, Bob Geldof has most definitely still got it. He was in a happy smiley mood and there was no ranting at least while I was there…not that we ever mind that. And judging by the audience there is still clearly a huge appetite for what the Rats have to offer. As for punk poet Patrik Fitzgerald, well I can only apologise for completely missing his set. Apparently Patrik is oftentimes credited as the originator of ‘folk punk’ and his current album is called ‘subliminal alienation’ so like Bob he clearly remains a man with a message. Just a pity he was delivering it at tea-time really. If any of you did happen to catch the show maybe you could send us a couple of snaps and a quick review…? ?